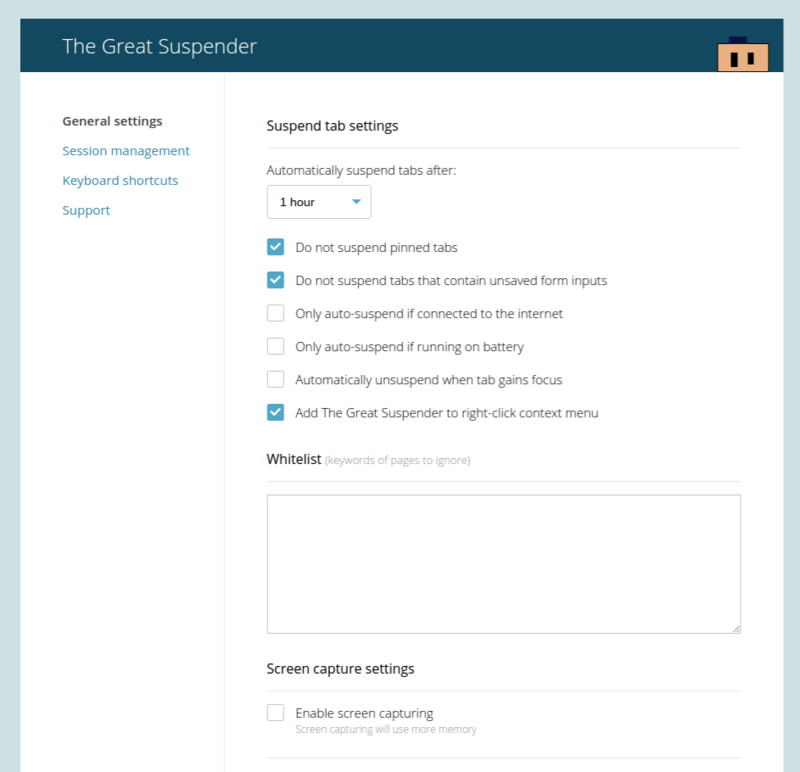 Chrome users with tons of open tabs: The Great Suspender extension is for you! Unload, park, suspend tabs to reduce memory footprint of chrome. Tabs can auto-suspend after a configurable period of time or be suspended manually. Tabs can be whitelisted to avoid automatic suspension. Suspended tabs are retained after closing and reopening browser, preventing many tabs from all reloading after a restart. Very simple, intuitive interface.